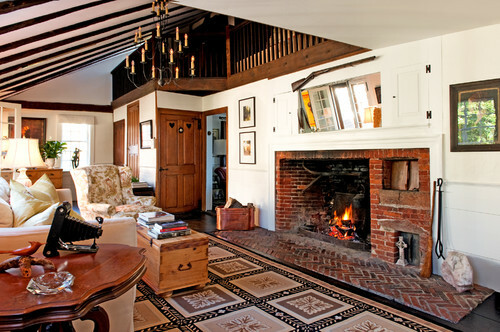 Growing up, we lived in a beautiful century-old Craftsman house rich with period details. Some were beautiful and functional, and they stayed: original hardwood floors, woodwork, pocket doors, window seats and a quirky little built-in secretary desk. Other artifacts were not so lucky — including the original Craftsman light fixtures, which were sold at a yard sale. Years later, after realizing the lights probably would have fetched a good price if sold to the right buyer, we all regretted ditching them so unceremoniously. But the simple truth was, the lights were ... old. They were rusty and dusty looking, and to be completely honest, they reminded us of tin cans. We were much happier living with new light fixtures that worked properly and suited our style. The original Craftsman front porch with its signature pillars also got the heave-ho, and that change, more than any other, altered the look of our home. But some of my favorite memories of that old house are of sitting on our new front porch, with its trellised sides, roses and fragrant jasmine providing both an intoxicating scent and a bit of privacy as we sat outside in the evenings. I'm sure some preservationists would cringe at our destruction of a perfectly good original porch. But that's the thing — it's easy to look in from the outside and tell others how to treat their old home, but it is the family who lives there who must experience it every day. If you own an older home, how do you decide what to preserve, alter or let go of entirely? Here's help. Structural changes. Let's begin with issues of safety. Older homes can have underlying structural issues that must be addressed to keep the house sound. A leaky roof, rot problems and other issues can unfortunately mean letting go of a beautiful old plaster wall or original floor — but taking care of these problems sooner rather than later will limit the damage. If there is extensive damage, and the choice is between gutting and tearing down, think carefully about the pros and cons of each choice before deciding. If you do opt for a teardown, you can still try to save as many original details as you can (doors, windows, floorboards etc.) and put them to work in the new house. Plumbing and electrical updates. In addition to structural issues, if your old home has very old wiring or plumbing, leaving it as is can be unsafe. Bringing all of your electrical work up to code and having copper pipes installed will help protect your home and family. A note on historic homes. If your home is listed on the historic register, that's a whole different ballgame. 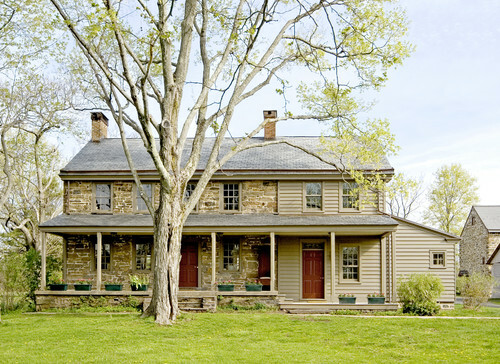 Most historic districts have strict requirements about making any sort of changes to the exterior of a historic home, including changes to doors, windows, roof projections, siding and additions, among others. You can find specific guidelines for your state through the National Register of Historic Places. The floor plan. Some homes — including colonials and Victorians — were built at a time when people preferred having many small rooms, rather than the open plan that has become popular today. And while knocking down a wall or two may not greatly impact your home's original character, trying to force a completely new layout on to your older home is not something to be taken lightly. Taking on a major whole-house remodeling project can be costly as well as labor and time intensive. If you choose to take on a bigger remodeling project, seek out a pro with extensive experience working with older homes in the same style as yours. Woodwork and built-ins. Wherever possible, preserving fine original woodwork is worth the effort. Wood is becoming more and more expensive, and the level of craftsmanship in older homes is much higher than what you typically find in a new construction. This may include floors, trim, molding, fireplace mantels, bookcases, china cabinets, staircases and more. If you must replace some flooring, try to have the new floors stained and matched to the old for a seamless transition. Light fixtures. 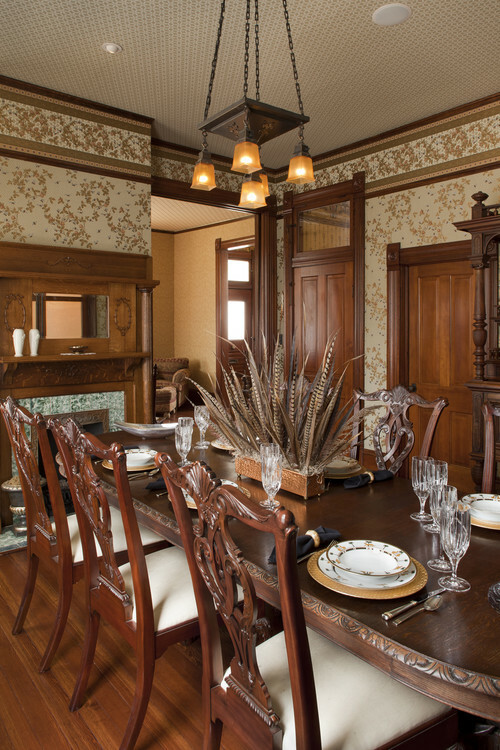 The light fixtures shown here were original to the house, circa 1890. Light fixtures of that age will not be usable as they are, but they can be professionally restored and rewired to work with modern electrical systems. If you want to maintain a period look, and you have access to your home's original fixtures, it could be worth having them restored. Doors and windows. Original doors and windows tend to be made from solid wood, and are in keeping with the overall proportions and style of the house. If you can keep them, do — old windows can be treated to provide better insulation. 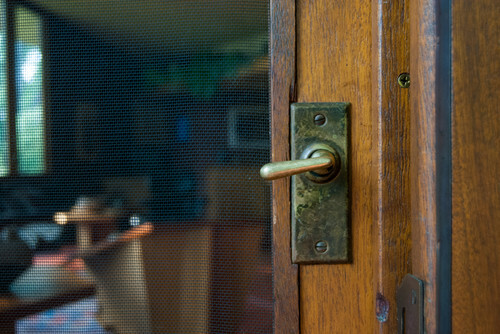 If you must replace badly damaged doors or windows, you may want to look into salvaged replacements from other older homes. Otherwise look for new pieces that match the size and proportions of the old ones to maintain your home's character. Hardware. Original cabinet latches, door hardware and drawer pulls offer a glimpse into the original style of your home. Even if you must tear out a badly damaged cabinet or door, try to save the latches, knobs and even hinges to reuse elsewhere in the home. Plaster. Thick plaster walls have a rich look that ultrasmooth drywall just can't match. 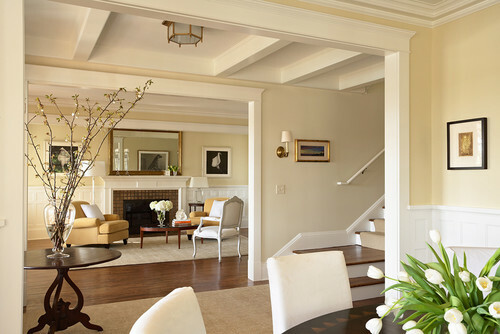 Plaster walls are also typically quite insulating — better to leave them as is if possible. To paint or not to paint? Compared to issues of completely removing period details, you might think simply painting your existing woodwork or masonry wouldn't ruffle any feathers, but some folks will still be miffed if you cover up original woodwork. In the grand scheme, I say this is a style decision, and you shouldn't let anyone make you feel bad about painting. It's true that if someone in the future wanted to reveal the original woodwork again, it would take some work — but it will still be there, and that's the important thing. A final note: If you do decide to let go of any of your home's original details, take the time to bring them to an architectural salvage yard. 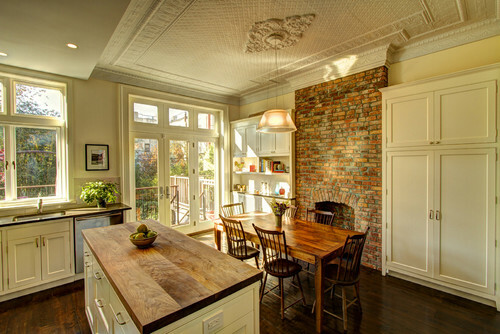 That way others who are renovating older homes can benefit! 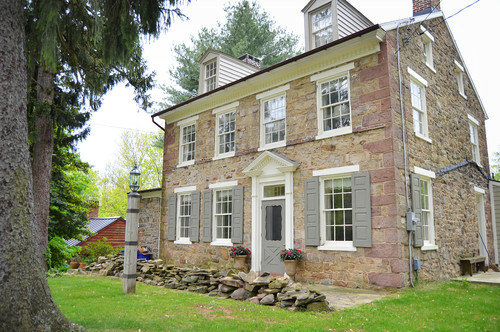 Tell us: Do you live in an old house? Have you changed — or would you like to change — any of your home's original details? Share your tales in the Comments section.